A moulded, circular porcelain dish with a foliate rim and a short foot rim. The dish is painted with two birds. One bird perches near the top of a branch, the other sits at the tip of a rocky outcrop below him. A full moon or sun is painted on the left of the dish. The exterior is painted with a wispy tree branch on both sides. 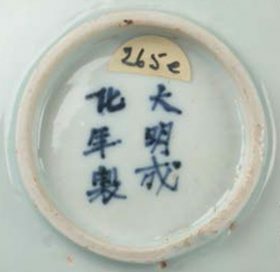 The base has a six-character inscription in two lines, reading Da Ming Cheng Hua Nian Zhi (made in the Chenghua reign). The decoration on both the interior and exterior is painted in underglaze blue. The thin rim is painted in brown. 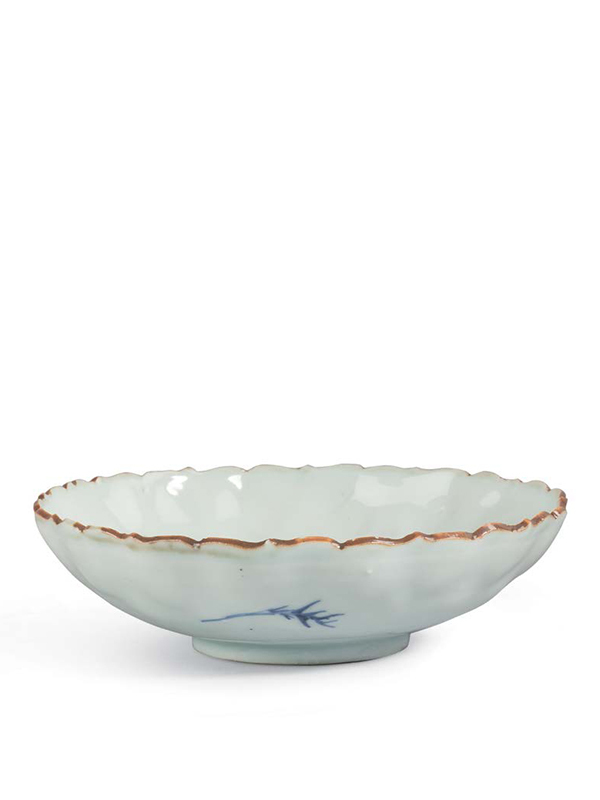 This dish, though bearing a Chenghua (1465 – 1487) reign mark on the base, is a product of the late Ming period, made between the Wanli (1573 – 1620) and the Chongzhen (1628 – 1644) reigns. By the late 16th and early 17th century, Jingdezhen in northern Jiangxi province virtually monopolized the production of fine porcelain in China, and the kilns flourished, as wares were made for both the domestic and export markets. In the period of 1622 to 1683 the Jingdezhen kilns, which has enjoyed the financial support of the Ming court for the previous 253 years, were forced to search for new patrons. This was the time that export wares were produced to an extent for the Dutch and Japanese markets, which brought about noticeable changes in style. 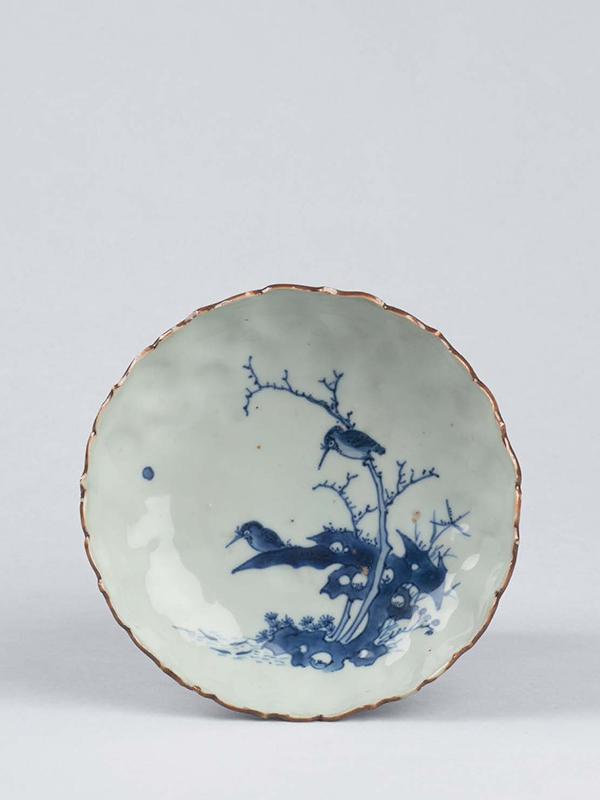 A comparable blue-and-white dish painted with two birds hovering above a flowering branch, similarly marked with a six-character Chenghua reign mark but dated to the Chongzhen period, is in the Effie B. Allison collection at the Asian Art Museum of San Francisco.